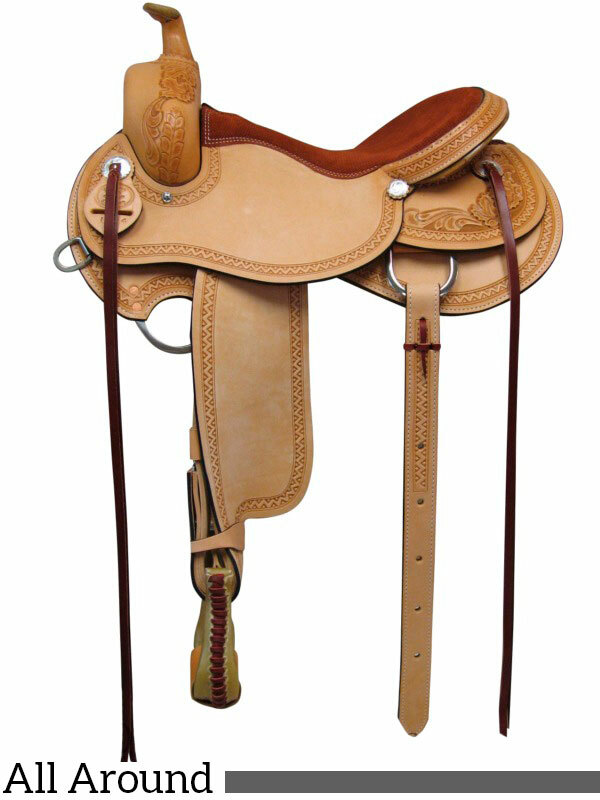 This light weight trail saddle is based on Abetta’s popular All Around model with a large square skirt. Craving the feel of the horse in your saddle? The Oregon Trail by Colorado Saddlery is exactly what you need! It features a deep, narrow seat to ensure close contact with you and your horse. The fenders are highly mobile and easy to maneuver. This popular Abetta All Around is great for a variety of disciplines. 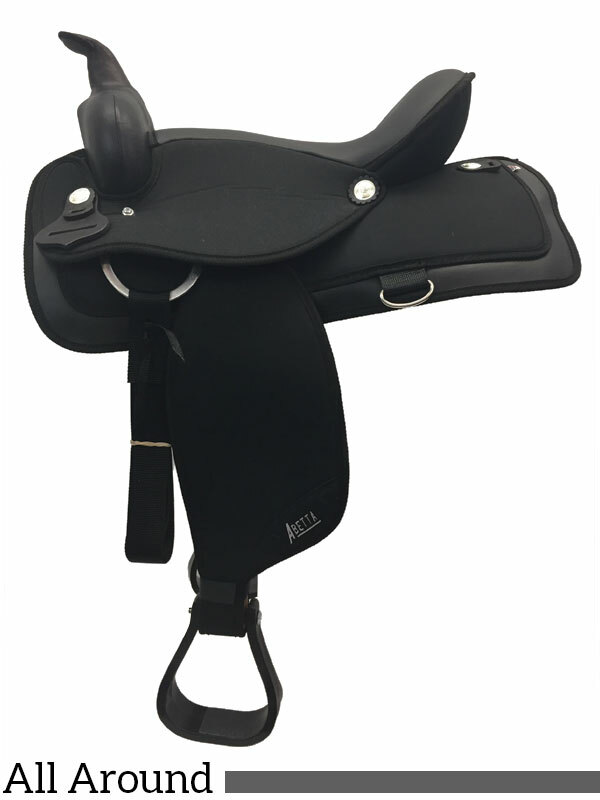 A 4″ cantle provides enough security and support to allow you to ride with confidence while the Acu-Suede seat adds a little extra sticking power. Acu-Suede is designed to retain the look and feel of suede indefinitely. 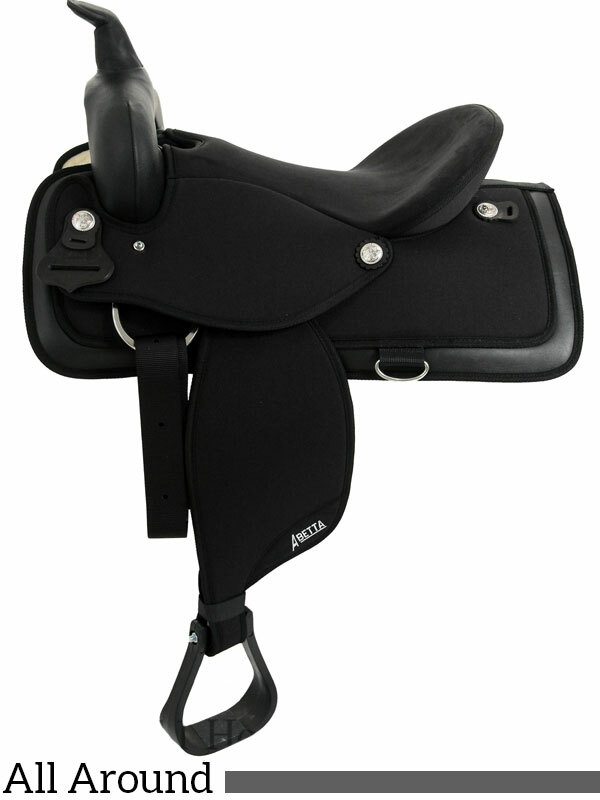 This saddle is perfect for all around work and comfortable enough for a long trail ride. 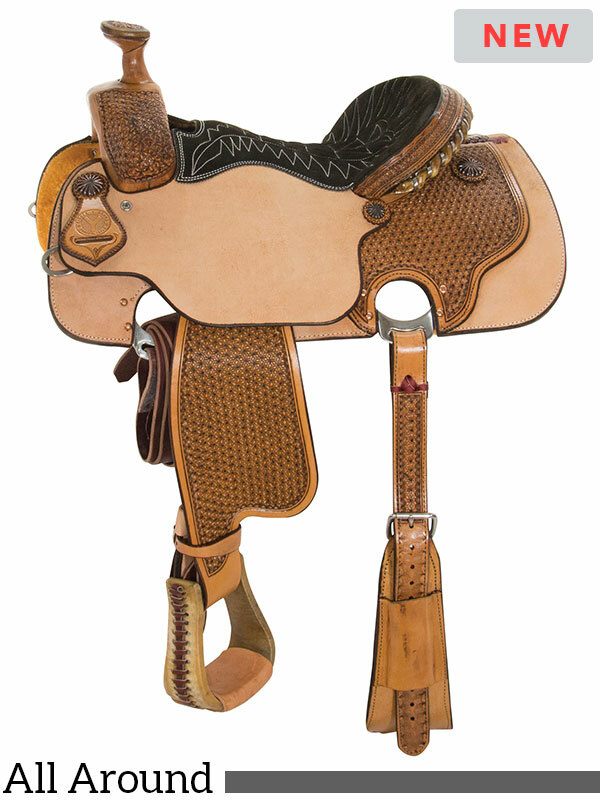 We love South Bend Saddle Co’s high quality craftsmanship. 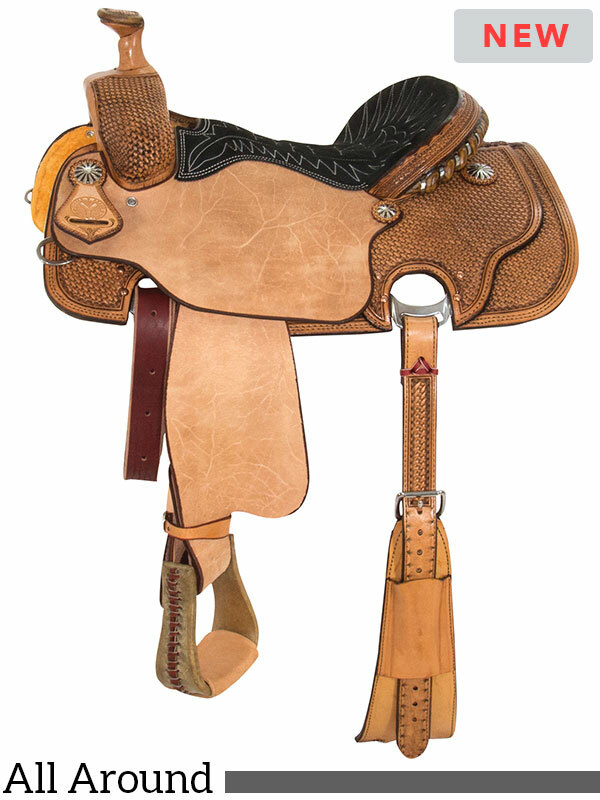 This saddle is very sturdy and is built on fiberglass reinforced wood. Gorgeous border tooling and suede seat to hold you in place. Available in your choice of colors. When they say all-around, they mean it! 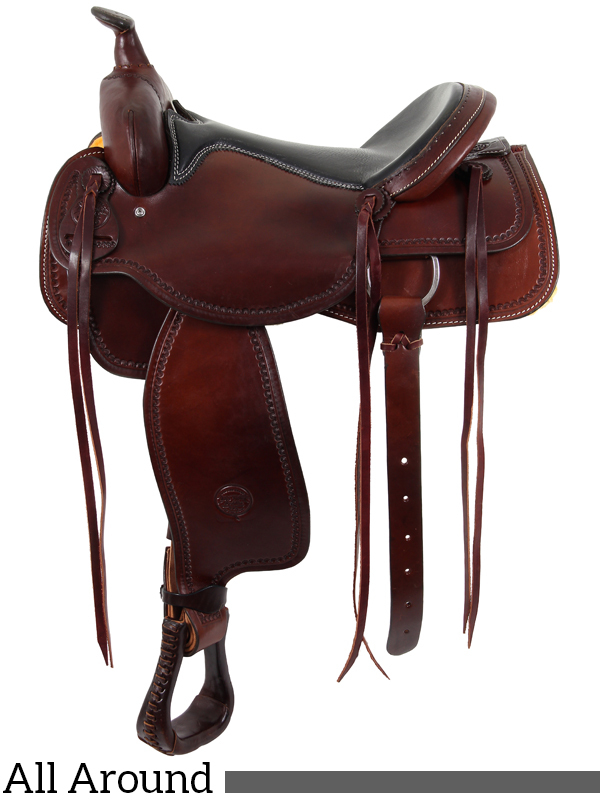 The new 2164 model from Circle Y has all the features you could want in a saddle! Let’s start with the looks. A deep, mini-basket tooling pattern smothers the skirt and pommel, contrasting nicely with the lighter colored rough-out seat-jockey and fenders. Pinwheel conchos add a little bling along with the silver laced rawhide cantle. Built to handle tough jobs around the ranch or arena work, the 2723 is ready to ride. A soft fleece adds extra comfort and shock absorbing qualities that come in handy during hot days and riding on rough terrain. Lastly, the large leather-laced rawhide stirrups leave plenty of room for your riding or work boots.